The Rambler series of drinkware is the first line of YETIs you can fit in your hand. 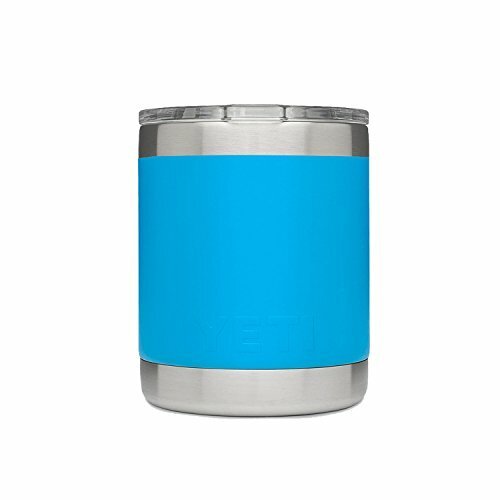 And, yeah, we over-engineered these YETI Tumblers to be virtually indestructible and keep your drink as cold (or hot) as science allows. With 18/8 stainless steel construction, double-wall vacuum insulation, and No Sweat Design, they're perfect for the deer lease, cleaning table, or just the times in between your outdoor adventures. The Rambler 10 oz. Lowball is the ideal drinking companion at the deer lease or around the campfire. Whether it replaces your morning coffee cup or serves as your nightly whiskey glass, the Lowball's double-wall vacuum insulation will keep your hot drinks hot and your cold drinks cold far longer than standard drinkware. And unlike your favorite bourbon glass, this Lowball will never shatter or leave a ring on your coffee table. The Rambler 10 oz. Lowball is the ideal drinking companion at home or around the campsite. Its 18/8 stainless steel construction (made with kitchen-grade stainless steel) will hold up in the wild. This Lowball will never shatter or leave a ring on your coffee table, thanks to its 18/8 stainless steel construction and No Sweat Design. The Lowball's double-wall vacuum insulation will keep your hot drinks hot and your cold drinks cold far longer than standard drinkware. The Rambler 10 oz. Lowball is 3 ½ inches in diameter and 4 1/8 inches high. If you have any questions about this product by WELSAM, contact us by completing and submitting the form below. If you are looking for a specif part number, please include it with your message. Water Bottle Stainless Steel, 40 oz by MyPocketWell!